The first locally manufactured Zbee is now registered in Bali, Indonesia! The interest for Zbee has been huge in Indonesia since the beginning. 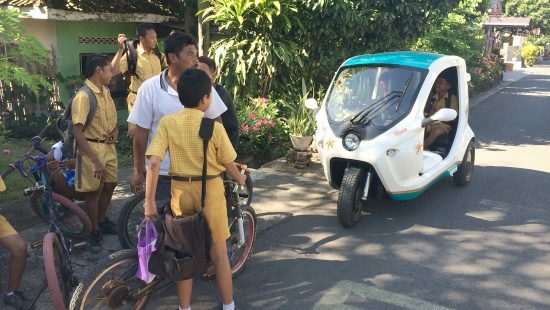 Now, we’re finally one step closer to our goal, of making truly sustainable and affordable mobility solutions available for the people of Indonesia. After years of dedication, we now can have vehicles rolling in the streets as the first license plate registration has been completed in Bali. Now, there’s work to be done as we´ll start planning for expansion in the country. Stay tuned for more news about Zbee in Indonesia, as this is just the beginning!